This cemetery is on the J. C. Neill survey. J. C. Neill was given ¼ league of land by the Texas Republic in 1842, probably for fighting in the Texas Revolution. Joseph O. Wallace owned this portion of the survey at one time. John L. Wallace bought it from him. This cemetery is said to contain about 15 graves, mostly for the Wallace and Giles families. At present 2 children's stones remain with their bases and a base and footstone for an adult. 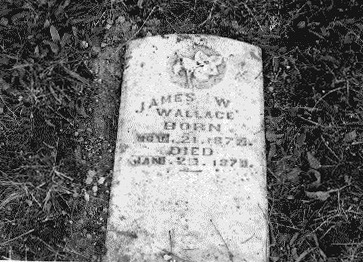 Buried here are: James W. Wallace, Nov 21, 1877-Jan 20, 1879; Edgar Wallace; and a footstone and large base for T. C. W. The stones for the children have been reset horizontally. This cemetery is not listed in COLLIN COUNTY CEMETERY INSCRIPTIONS I or II. The Powell family owned the land for a number of years, and some people call it the Powell Cemetery. It is not believed that they used the cemetery. The League Cemetery #44 is about 1 mile north. 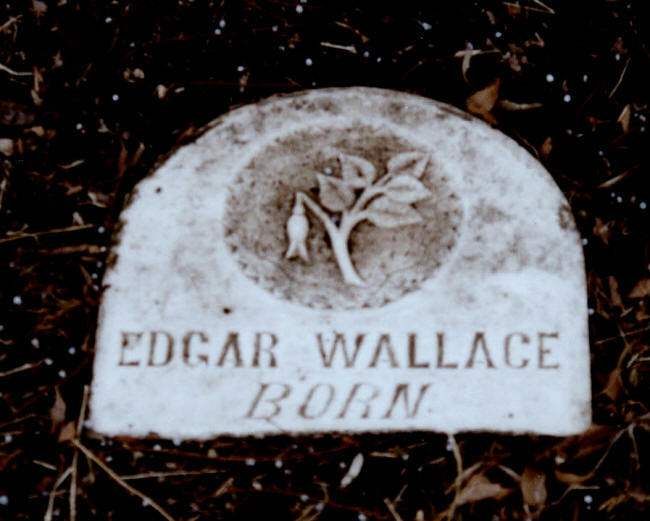 It is said that they were related to the people buried in the Wallace cemetery. The cemetery can also be reached by taking SH 121 out of Melissa for about 6 miles and turning north onto FM 455. The subdivision will be on the north about ½ mile from the turn. This land is being sold in 10-acre lots. The developer has assured us that he will preserve the cemetery. At this time no deed has been found for the cemetery.